Arron Renfrew Selected For "Best Real Estate Agents In The Seattle Area"
Arron Renfrew of Seattle, WA has been honored with a recognition by Seattle Magazine in its selection of "Best Real Estate Agents In The Seattle Area." "Best Real Estate Agents In The Seattle Area"
Arron Renfrew commented on the recognition: "This is quite an honor for me. The fact that Seattle Magazine included me in its selection of "Best Real Estate Agents In The Seattle Area," signals that my constant effort to deliver excellent work has paid off. It is gratifying to be recognized in this way." Arron Renfrew is the real estate expert from the Our House Seattle Radio show. He can be seen in the pictures below answering difficult, and sometimes humorous real estate questions for thousands of Seattle area Residents. 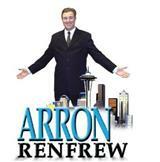 Arron Renfrew is a trusted expert in Real Estate for the Seattle Area. For an audio sample push the play button below! with an emphasis on integrity and service? real estate agent´s technical skills and knowledge. the home, market knowledge, closing preparation and overall satisfaction. and that no disciplinary actions were pending. of the final list on the basis of company affiliation. have been grouped based upon their city of focus. surprised to see them next year. Arron Renfrew is interviewed by Kiro 7 News about the Opportunites for Buyers and The New reality for Sellers. Click the picture above for the Seattle Times Article in the Pacific Northwest section of the paper. Arron Renfrew is super thrilled to have been a part of helping the Janof's into their mid century home. The style and history of the home is amazing and a perfect fit for Amy's passion of Architecture. Thank you Tim and Amy for Choosing Arron to assist in this tricky transaction! !